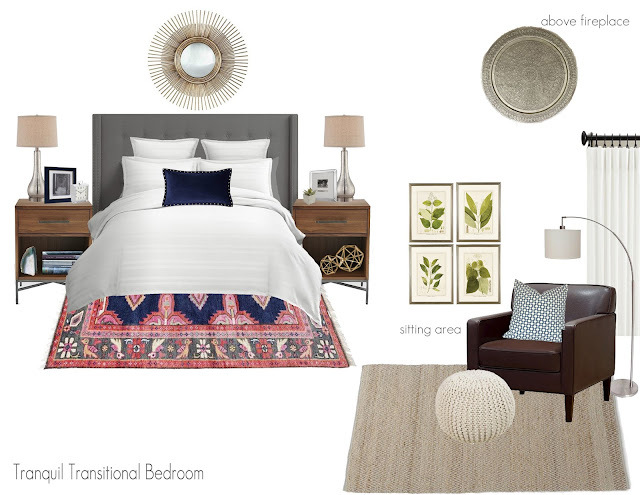 Really excited to be sharing this transitional master bedroom I designed today! I love how it mixes new and traditional styles with the room feeling more "collected" than brand new out of the box. Added bonus- the total cost for this room comes in right under $5k!